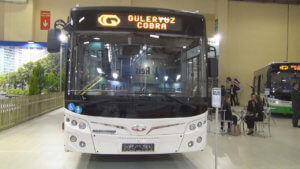 Suchasni Vantazhivky LLC (Modern Trucks, Kyiv), part of the large Ukrainian automotive holding AVTEK, has won a tender to supply 12 low-deck large city buses to municipal enterprise Electroautotrans (Ivano-Frankivsk), offering Guleryur Cobra GD 272 LF buses made in Turkey for UAH 65.995 million with the expected cost of UAH 70.8 million. According to the results of the auction in the ProZorro e-procurement system held on Thursday, the initial offer of the winner was UAH 70.632 million. Auto-Region LLC (Kyiv) and Autograd-2007 LLC (Cherkasy) also took part in the auction. The price was cut during bidding. According to the technical conditions, low-deck buses of at least 11.9 meters long are to be made no earlier 2018, meet the Euro 5 emission standard and capable to carry 94 passengers with 26 seats. The buses are to be supplied before March 1, 2019. 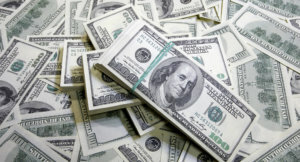 Ukrainian manufacturers did not submit bids for the auction. According to information on the ProZorro platform, Alfateks, a large supplier of trucks and special-purpose vehicles, won the auction to supply 10 large buses to Kremenchuk, offering MAZ 103 buses for UAH 57.975 million with the expected cost of UAH 58 million. According to the conditions of the tender, the buses are to be supplied to Kremenchuk road transport enterprise before December 20, 2019. Bas Motor LLC (the division of the Bogdan Corporation) offered Bogdan A 70132 buses for UAH 58 million and did not reduce the price during the auction.